Mr. Leitess’ practice has a national scope, serving clients located around the country in litigation and transactional matters arising in Maryland, Virginia and the District of Columbia. His practice focuses on the areas of substantive law that businesses rely upon daily. The majority of Mr. Leitess’ daily professional activity relates to business litigation and arbitration, however a substantial amount of his time is dedicated to transactional matters and “outside general counsel” services for day-to-day operations of clients who do not have an in-house legal department. 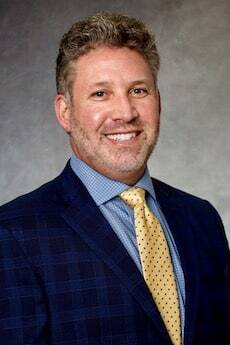 Mr. Leitess has 25 years of experience as “first chair” attorney in numerous evidentiary and non-evidentiary hearings, court trials, jury trial and appellate matters in state and federal courts around the country, including Maryland, Washington DC, Virginia, Florida, Ohio, New York, Pennsylvania and California. He has argued hundreds of motions and appeals, and participated in meditations and arbitrations. He is a prolific legal writer and has drafted and filed a very large number of pleadings and motion papers in connection with those representations. Represented a 4,700-member LLC in a lawsuit against investment brokers, agents and advisors for fraud and related causes of action arising out of a viatical/life settlement scam. Represented joint venture parties in dispute with co-venturers to a $25 million real estate development project in Houston TX. The dispute arose over breaches of internal agreements for governance that threatened the parties’ ability to execute on a contract for purchase and development of a large parcel of raw land. Defended preference avoidance action against numerous textile industry factoring clients in U.S. Bankruptcy Court; reduced defendants’ potential litigation exposure from $75 million to approximately $15 million. Defended preference avoidance action against large Japanese consumer electronics manufacturers in U.S. Bankruptcy Courts during Circuit City bankruptcy case. Represented general counsel of large family of healthcare companies in key fact witness role. The matter was an extremely contentious “David v. Goliath” dispute that resulted in several reported decisions concerning attorney-client privilege and confidential attorney work product, spoliation and other issues. Defended “red light camera” manufacturer and administrator of red light enforcement program from putative class action claims brought in two Maryland jurisdictions. Represented large equipment finance company in dispute that resulted in an order from U.S. District Court declaring unconstitutional a Maryland statute permitting certain third parties to seize and dispose of equipment collateral without giving prior notice to secured party. Represented large commercial finance companies in multiple-titling fraud scheme by borrower who obtained up to 4 purchase money loans on each of 33 new Peterbilt over-the-road tractors by exploiting gaps in filing and perfection procedures in motor vehicle administrations of Maryland, North Carolina, Virginia, West Virginia and Pennsylvania. Representing dozens of equipment finance companies in numerous matters involving the negotiation, workout and enforcement of equipment lease and finance transactions in high tech, transportation, construction, aircraft, medical and other industries. Representing an entrepreneurial asset-based lender in Northern Virginia that is active among small and medium-sized companies, including those with set-aside designations such as service disabled, veteran-owned small business and the like. The engagement includes corporate advice, litigation, turnaround & workout activity and strategic business planning. Represents government contractors in various employment, internal investigation, corporate and litigation matters in Maryland, Virginia and the District of Columbia. Represent patent owners in negotiating and implementing patent licensing agreements, royalty agreements and related matters. Counsel to official committee of unsecured creditors, debtor-in-possession financing lenders and secured creditors in business bankruptcy cases. These matters include experience with plans of liquidation or reorganization, Sec. 363 sales; automatic stay litigation, voidable transactions claims, non-discharge ability litigation and numerous other kinds of adversary proceedings, contested matters and administrative matters that arise in business bankruptcy. Negotiated and documented business loan transactions on behalf of lenders and borrowers, including asset-based financing such as floorplan financing transactions, accounts receivable financing transactions and equipment financing and leasing transactions. Mr. Leitess has a personal interest and occasionally writes on first amendment, prior restraint, privacy, national security, public safety and technology issues. Description: This program was presented live in person and by webinar hosted by the Maryland State Bar Association's Business Law Section and Real Property Section, and the Maryland Bankruptcy Bar Association. The presenters provided attendees an opportunity to learn about and provide input on proposed laws affecting business in Maryland. The program informed and promoted a dialog among practitioners, judges, legislators and members of affected industries about proposed improvements in the law with the goal producing the best possible products for enactment. Description: This program was presented nationally via live webinar hosted by the Business Law Section of the American Bar Association. Even a well-drafted loan agreement can spell losses for lenders if the borrower fails to pay or becomes insolvent. To help avert such problems, many lenders take a UCC Article 9 security interest in the borrower's personal property assets (including inventory, equipment, receivables and/or investment securities). This practical program discussed the fundamentals of UCC Article 9 and made clear the power of the statute's central provisions. Panelist addressing issues arising in fiduciary litigation, pleading and proof in state court litigation and business valuation. Panelist discussing recent developments in fiduciary litigation; pleading and proof in state court litigation; business valuation in succession planning and "business divorce." Description: This program was presented live in person to the Anne Arundel County Bar Association. Think you know the difference between pleading statutory versus common law accounting? What about a direct action versus a derivative action? The panel addressed common mistakes that create problems in litigation from the get-go. The panel also discussed the burgeoning fiduciary litigation practice. Boomers, one of the largest demographic groups, have on average the highest net worth of any generation. These facts portend an increase in fiduciary litigation over the next decade as children and grandchildren tussle for the family jewels. The panel discussed what lawyers can do to help clients ensure a peaceful transition of wealth or, if fights erupt, how best to handle them. Panelist and co-author of comprehensive written materials discussing how to prevent and address deadlock in limited liability companies. Description: These sophisticated business law programs were presented several times to different audiences including the American Bar Association's Limited Liability Company Institute (November 2016), the Pennsylvania Business Law Institute (November 2017), the Maryland State Bar Association's Advanced Business Law Institute (April 2918), and Strafford Publications, Inc. (webinar broadcasts in 2017-2018). Deadlocks in an LLC arise when members or managers fail to reach agreement or obtain the required voting for a particular course of action. The failure to provide in advance methodologies for dealing with deadlock can result in significant cost, loss of time and other resources, and possible litigation and often results in judicial dissolution of the LLC or other judicially imposed (and frequently not very practical) remedies. The panel and its written materials discuss deadlock breaking mechanisms that might be included in LLC operating agreements, with a focus on the types and forms of such provisions, their effectiveness and limitations, and the issues involved in drafting and enforcing those provisions. The panel and materials also addressed statutory and case law developments as well as potential alternative dispute resolution options. Description: This article provides a framework for addressing the importance of adopting deadlock-breaking mechanisms in limited liability company operating agreements as an alternative to seeking judicial dissolution when a dead-lock arises.